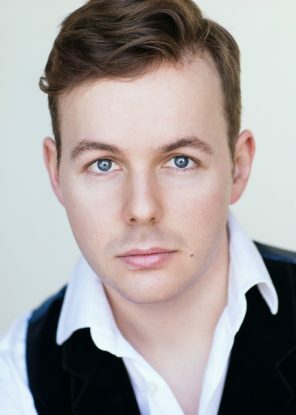 Tenor Alasdair Kent is a final-year Resident Artist of Philadelphia’s Academy of Vocal Arts, where his roles have included Lindoro in L’italiana in Algeri, Ferrando in Così fan tutte, Don Ottavio in Don Giovanni, and Rinuccio in Gianni Schicchi. Other roles include Count Almaviva in Il barbiere di Siviglia for Prelude to Performance, Don Ramiro in La Cenerentola for Opera Queensland, and Ritornello in L’opera seria for Wolf Trap Opera. Mr. Kent is a National Semifinalist in the Metropolitan Opera National Council Auditions in 2017. He has recently won First Prize in the Joan Sutherland & Richard Bonynge Foundation Bel Canto Award, First Prize in the Mildred Miller International Voice Competition, First Prize and Audience Prize in the Giargiari Bel Canto Competition, First Prize in the Violetta DuPont Vocal Competition, and Second Prize in the Licia Albanese-Puccini Foundation International Vocal Competition. He has also received grants and other awards from the Metropolitan Opera National Council Auditions, the Licia Albanese-Puccini Foundation International Vocal Competition, the Giulio Gari Foundation International Vocal Competition, the Opera Index Vocal Competition and the Career Bridges Grant Awards. Alasdair will be featured as Giocondo in WTO’s 2017 production of Rossini’s The Touchstone.